If you wear sunscreen there is a fairly good chance that you are doing it wrong. Majority of the human race do not understand what the SPF numbers mean and many may not apply sunscreen often enough to protect themselves from skin cancer. 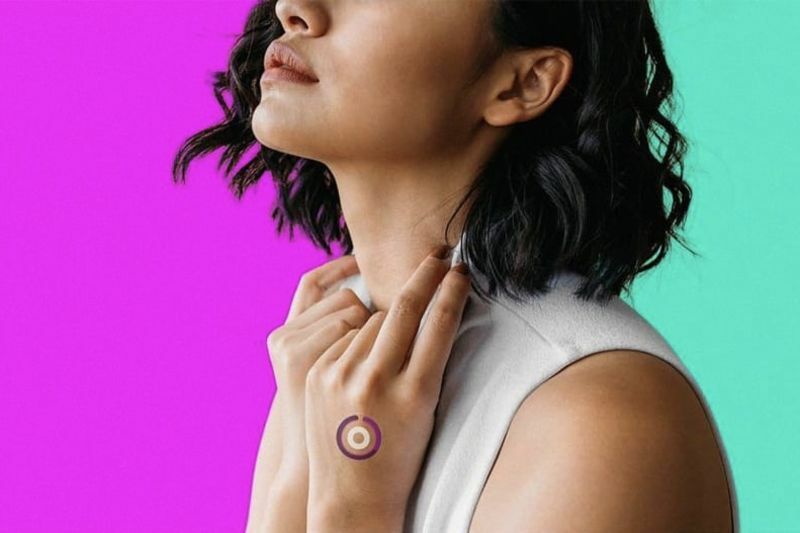 A new sticker-like device by LogicInk is a very basic, wearable that measures UV exposure so you can measure to see if your sunscreen is actually working. Stick it on your hand or arm, and it will automatically tell you how much UV exposure you are getting at the moment and how close you are to your daily limit. LogicInk has experimented with similar products that can measure air pollution or sense blood alcohol content through someone's sweat. In early tests, consumers have typically realized that their skin is not as protected as they might have originally thought. Many are unaware, for example, that when it's cloudy UV exposure is still high, even when you stand partially in the shade. Even if you are one of those people that constantly reapply sunscreen, you may still have trouble tracking how much sun you're getting throughout the day. The startup's temporary tattoo, called the LogicInk UV, is chemically designed to react to UV intensity by changing colour. The centre ring changes from white to purple to show how harsh the sun is at a given time. The outer ring turns bright pink in three different segments that correspond to the daily limit for light, medium and dark skin tones; as the segment for your skin type lights up, you will know you have reached your limit and need to take action. “If the sun is a little less intense or you’re protected with sunscreen, then you’re delaying that alert,” says Olguin.